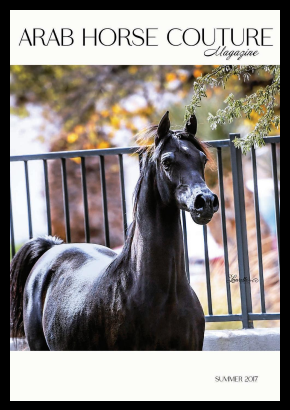 Evangelos Designs : "American Pharoah"
Click Here to see us in the Arab Horse Couture Magazine! 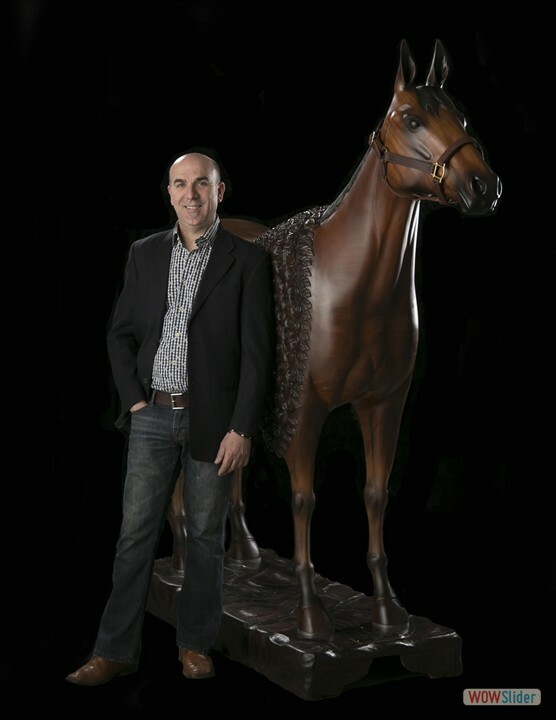 A beautifully handcrafted replica, by Evangelos, of the 2015 Triple Crown Champion "American Pharoah". This amazing sculpture stands 7 feet high and is 6 feet in length. 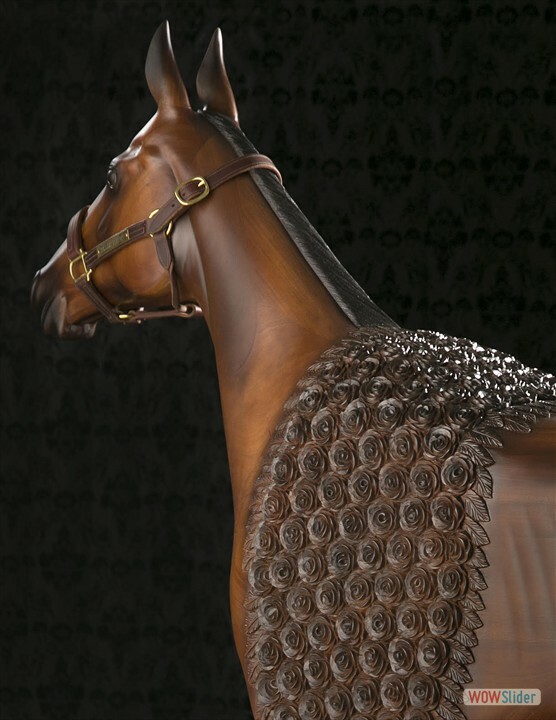 Each rose that is on the Kentucky Derby winners Blanket of Roses, is individually hand carved on the horse itself. 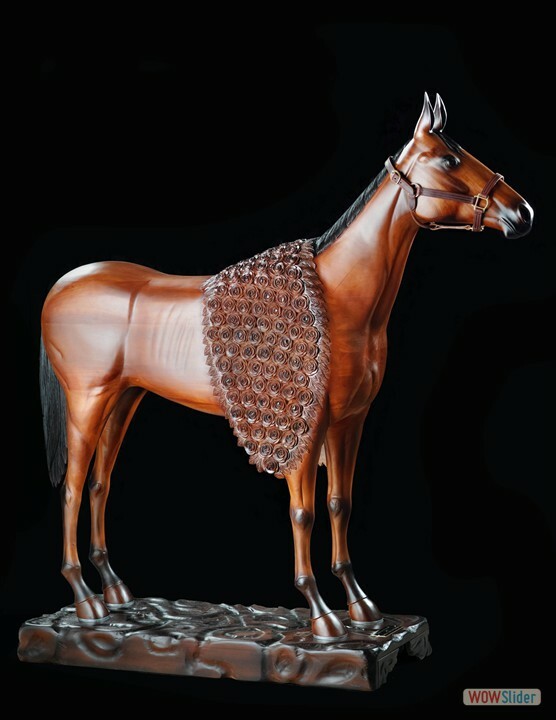 This sculpture was created out admiration for this powerful and elegant horse. It is a one of a kind piece of Art that will be magnificent any special space.